Hello all, Lido turned 4 months yesterday (9/19/18)! 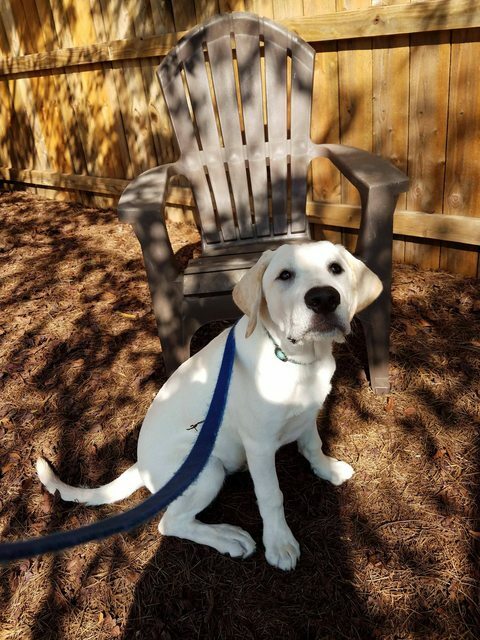 He's growing like a weed, and he currently weighs 38.2 pounds. He's on the lean side, but the vet is very happy with his steady growth of 2-3 pounds per week so far. 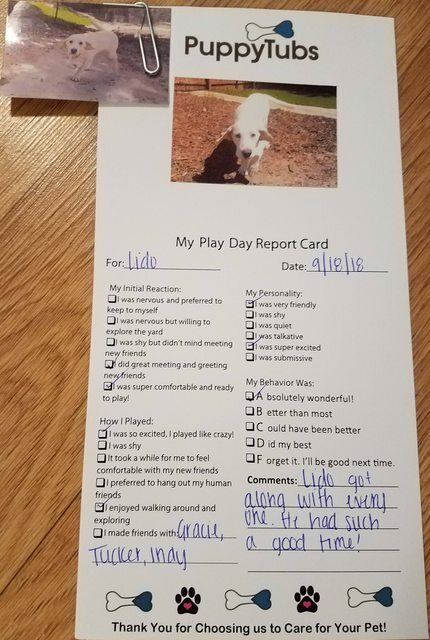 Lido got assessed for doggie day care on Tuesday, and he passed with flying colors and had a great time. The staff loved him! He was placed in a group with mainly labs and boxers - imagine that! I'm hoping to send him 2 times a week to run off all the energy he seems to have in abundance. A tired puppy is a good puppy! He does pretty well on leashed walks, too - still a work in progress. He adores squeaky toys, chew bones, and playing fetch. I had to throw away his beloved ropes. He started shredding them, and I feared that he would swallow the threads and develop a blockage. Here are a few photos. 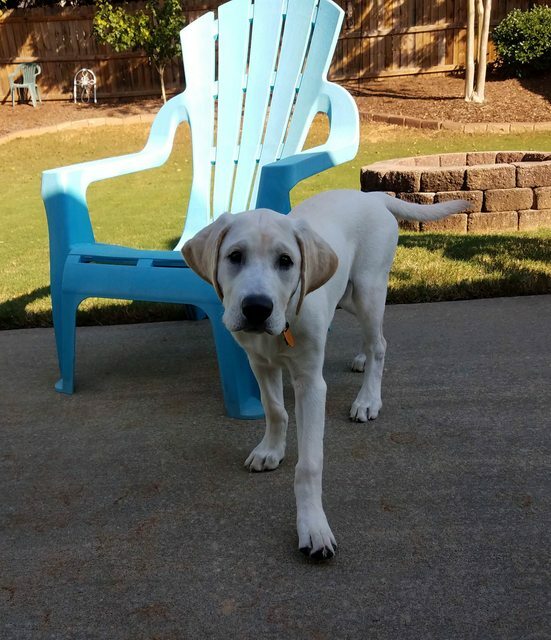 The first one was taken at 10 weeks, the rest are at 4 months. 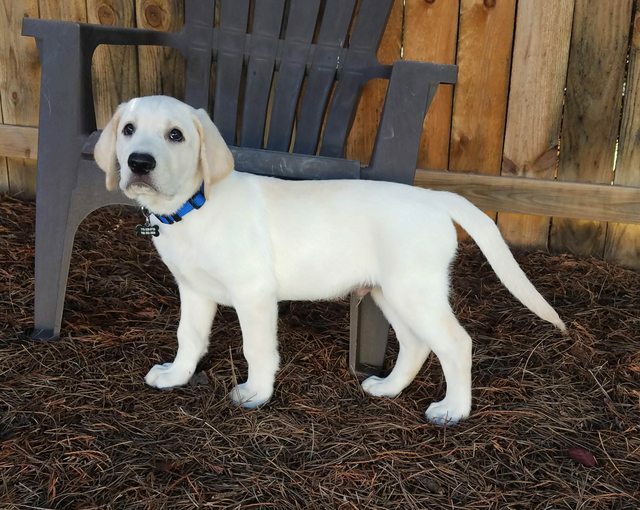 He may be a bit lean, but he's still cute as a button! Lido is a great looking pup. Looking forward to more stories and pics! So cute. And I love the report card! Thanks! He's eating 4 cups of food a day! 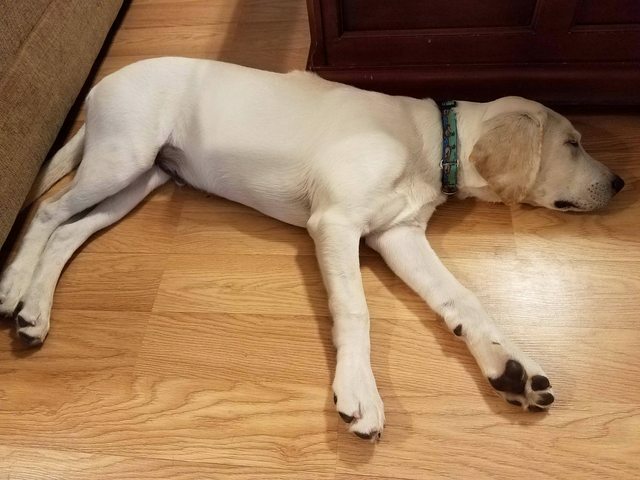 He's growing so fast right now, he can't keep up with himself! Oh I know! Don't worry, he'll fill in! Wow! So adorable and growing so fast!! Sounds like he’s doing awesome!